The Joint Admissions and Matriculations (JAMB) has directed that Computer Based Test (CBT) centres should not collect any money from candidates who would be sitting for the nationwide Mock Examination for its Unified Tertiary Matriculations Examination (UTME) taking place today (Saturday). The spokesperson of JAMB, Fabian Benjamin, who made the announcement in an interview with journalists in Abuja on Saturday, urged the public to disregard speculations that the Mock examination had been cancelled. He said, “The UTME Mock examination is now free. In consideration of our Corporate Social Responsibility, we felt that we should also be doing something for the candidates. Basically, that is it and there was no pressure from any quarters. The JAMB management just felt that should be part of our CSR. “The UTME Mock examination is taking place as scheduled, the public should disregard the rumour about its cancellation. We sent information earlier enough that candidates should not pay for the N700:00 UTME Mock examination fee. “In the event of any candidate paying, we will ensure refund. We have also instructed the CBT centres not to collect money from any candidate. But if they do, further instruction will get to them and definitely, the money will be returned to the candidates. 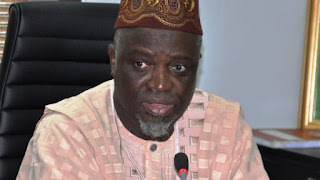 Mr. Benjamin said many staff of JAMB, including Directors and its Registrar/Chief Executive, Prof. Is-haq Oloyede, slept in the office, in preparation for the UTME Mock examination. “We are good to go for the Mock examination, we are on top of the situation. We are just waiting for the time. We all slept in the office, the Registrar/Chief Executive slept in the office. He was the first person to sleep before all of us joined,” he said.